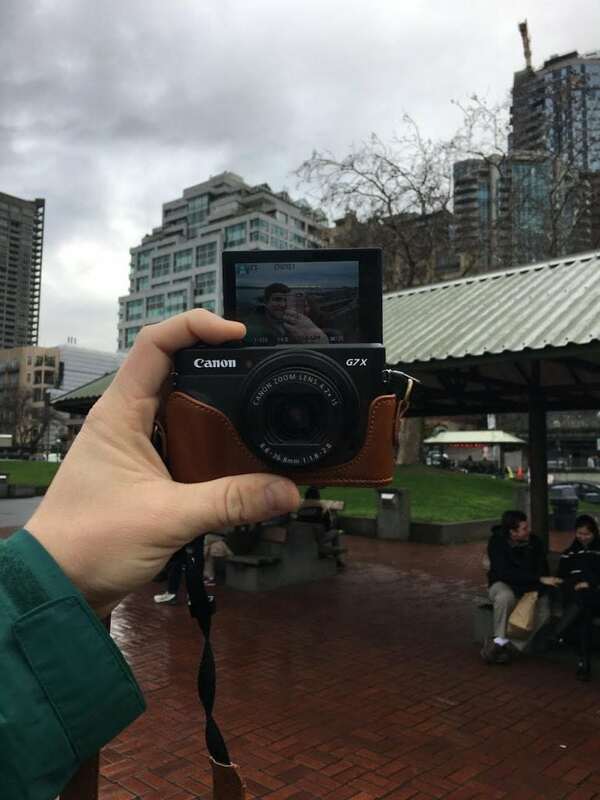 The Best Camera for Traveling - Use it for video and pictures. One of my big goals lately has been to start doing videos for the blog. I already have an awesome DSLR camera for photography, but knew I needed something different for video. As I was looking for my new camera, I spent a LOT of time researching and comparing various features. I had a few must-haves—with all the travel we do I wanted to find the best camera for traveling possible, in addition to finding one that could be used on the blog for video. Well, I found it—my perfect camera! This post is sponsored by Nebraska Furniture Mart and Canon and contains affiliate links. All opinions are my own. When it comes to cameras, there are a few major brand names that everyone knows. I am a Canon girl all the way—I’ve used their cameras ever since I was in high school! I went shopping at Nebraska Furniture Mart and after much deliberation landed on the Canon G7 x Mark II. Like I said in the video, I’ll still use my iPhone, but the Canon G7 x Mark ii is DEFINITELY going with me on all my trips and any special occasions. We have also created several new videos for the blog…I can’t get over the quality still! Thanks once again to Nebraska Furniture Mart and Canon for providing me with this camera. I seriously love it and think all of you will too! PS- want to learn how to start a blog of your own? Click here for my easy step by step tutorial! Love the video & the comparison. I just bought Samsung camera… I never use it – still use my phone. Mainly because its still bulky & heavy. & that screen where you can do selfies? YES!!! I’m really intrigued by this. Great information! The clarity of the Canon is really impressive compared. Thanks for sharing with us at Funtastic Friday!